Happy Mail Envelopes Now In The Shop! It's been a while since I've last posted. Looking back on the blog I noticed that my last entry was in mid July. Yikes. Things have been a little a lot busy with work, personal life and home life. But I won't bore you with the unnecessary details. Just know that I'll be back in the swing of things in a few months, and I'll hopefully have some new updates/news to share. 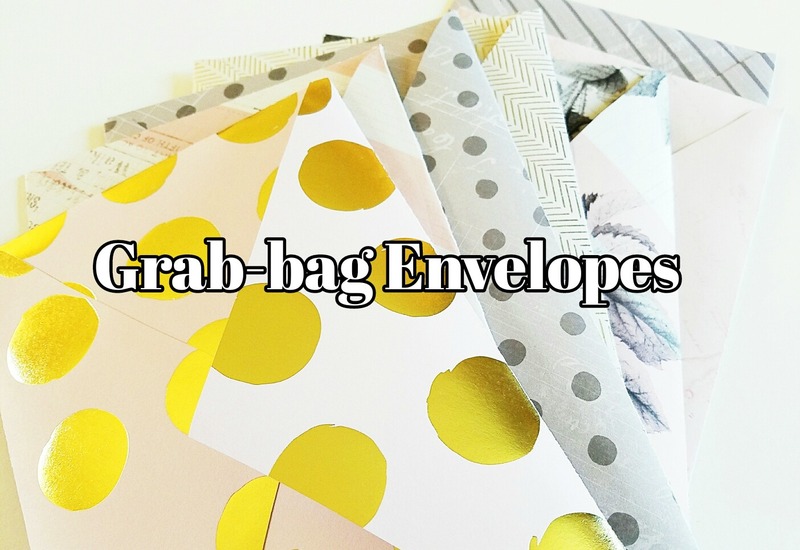 In the meantime, my shop has been updated with some fun grab-bag envelopes. Filled with bits-n-bobs of paper goods, you'll find these as a nice crafty addition to your diary, planner, art journal, or penpal letters. You can purchase one here. Happy Unwrappings! Also, I've shared a few new videos on the Seaweed Kisses YouTube channel, including my updated Midori Passport Traveler's Notebook Setup. Oh, and I also rave about my beautiful Olive work bags here and here. Have you seen them? Looove, love, love them. These upcoming weeks I'll be in the process of moving and decluttering. So that means...a planner sale is coming soon! Be sure to be superscribed to my YouTube channel for more details. You can also find me hanging out on Instagram every so often at @seaweedkisses. Okay, now off to more packing, and ta-ta for now. Hope you've been having a creative and fun-packed summer!